Victory begins before the first play is made. 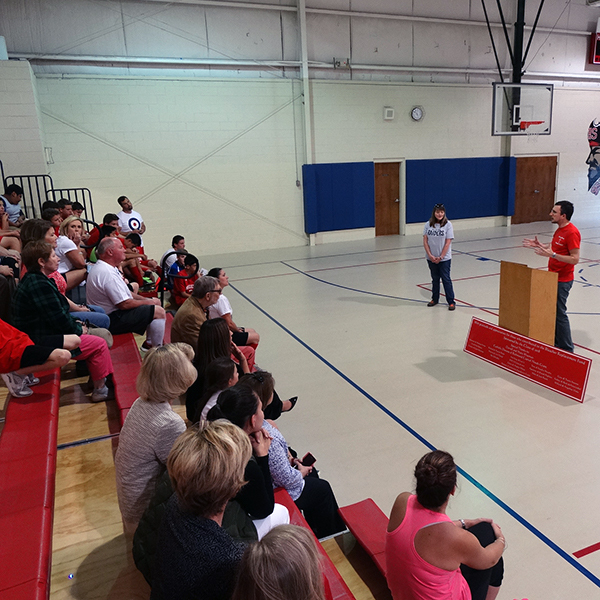 A parent-driven support organization supporting Sacred Heart sportsmanship and school spirit. 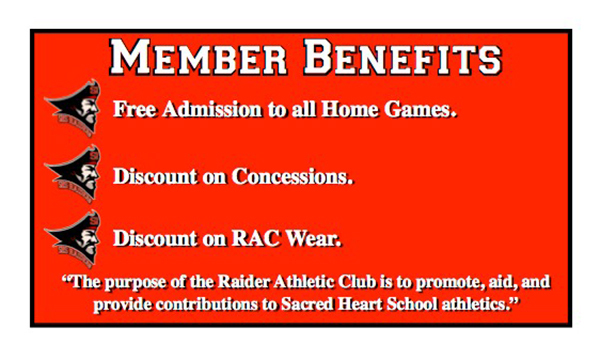 The Raider Athletic Club (RAC) is a parent-driven organization supporting all athletics at Sacred Heart Catholic School. RAC is a parent support group. RAC has provided a series of new improvements to the sports infrastructure at the school. The organization is a testament to the strong school spirit that is Sacred Heart culture. 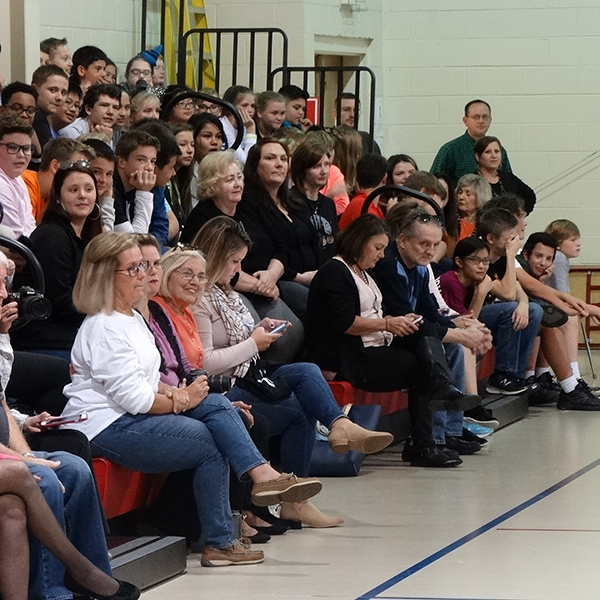 RAC has provided new bleachers in the basketball/volleyball gym; new soccer field bleachers; new volleyball nets; a new scoreboard; new basketball rims; uniforms; a Raider athletics logo; and many balls and gear that keep the kids playing and competing. Club members also provide coverage for concessions at sporting events. They provide a flyer to keep their membership active and aware of the RAC’s fundraising goals and sporting events. 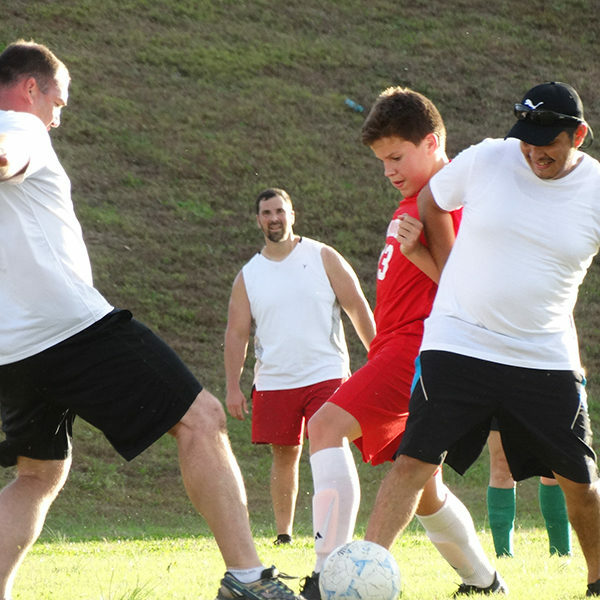 Additionally, RAC sponsors a student/parent soccer tournament and a girls vs. teachers volleyball game during Catholic Schools week during the last week of January. There is a fee to join RAC. RAC requires a $50 fee per year to join. This fee is part of the fundraising effort and provides perks to members throughout the year. These freebies include free admission to home games, discounted snack bar snacks, and a voice with the administration in school athletic meetings.